After a busy year of recording and writing in 2002, Waddy Wachtel appeared at the two“Music to My Ears” concerts in October. Waddy was happy to join his old friends at a benefit concert for Timothy White, a writer who had encouraged and promoted so many artists over the years with his work on the Billboard, Rolling Stone and Crawdaddy periodicals. Timothy had died in 2002 at the age of 50. Waddy performed as a member of the “house band” for the event with band mates Steve Jordan, Danny Kortchmar, Ricky Peterson, Norbert Satchel and Willie Weeks, backing Roger Waters, Sheryl Crow, James Taylor, Billy Joel, Sting, Brian Wilson and Jimmy Buffett. In 2003 Waddy Wachtel was again called upon by Adam Sandler to write original music for his next film "Dickie Roberts: Former Child Star." Not being done with the fun, Adam brought Waddy in to record with him on his next album in 2004, Shhh...Don’t Tell. In 2004 we could find Waddy Wachtel on TV again - this time on an episode of “Yes, Dear”, backing Travis Tritt and Trace Adkins on "Jailhouse Rock.". 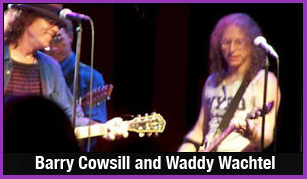 Waddy was also happy to contribute his time to a benefit concert for someone who was one of the first people he had recorded with: Billy Cowsill. The concert, “A Family Thing 2”, was held at the El Rey Theater in Los Angeles, featuring the whole Cowsill family as well as Waddy Wachtel, the Bangles, Shirley Jones, Peter Tork and Johnny Flanders. Besides keeping up with his Rockin’ Monday nights at the Joint, recording with various artists, and adding more song tracks to films, Waddy Wachtel went on an extensive tour with Stevie Nicks in 2005 that started in Las Vegas and ended in Australia. Joining Waddy and Stevie on stage for this tour were Jana Anderson, Sharon Celani, Al Ortiz, Jimmy Paxson, Darrell Smith, Carlos Rios, Taku Hirano and Brett Tuggle. 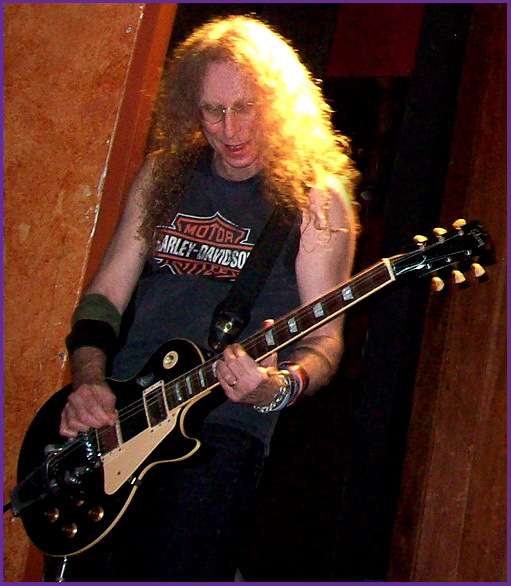 Waddy Wachtel became more intensely involved in writing original music for films, providing the music for three films that were released in 2006: “The Benchwarmers” and “Grandma’s Boy” which were produced by Adam Sandler, and “The Last Request” which was only released internationally. 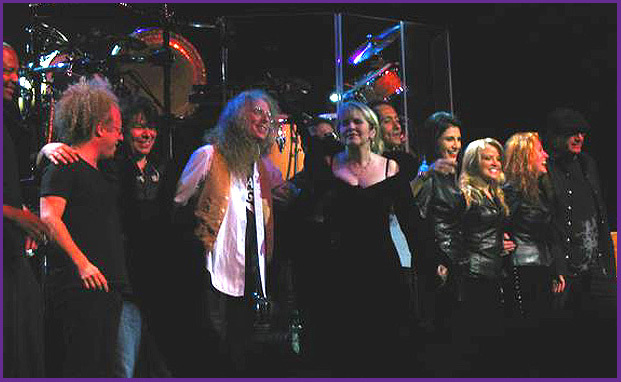 Stevie Nicks was ready to tour again in 2007 and was able to pull Waddy Wachtel away from his busy recording and writing schedule to join her and Al Ortiz, Jimmy Paxson, Lori Nicks, Jana Anderson, Sharon Celani, Carlos Rios, Ricky Peterson, Lenny Castro and Cornell Thigpen for her Crystal Visions Tour as musical director, guitarist and vocalist. The tour dates kept blossoming and extended with some breaks through 2007 and into the beginning of 2008. During the same time, Waddy appeared with Stevie on several televised shows including the Superbowl Pre-Game show and the Ellen Degeneres Show. 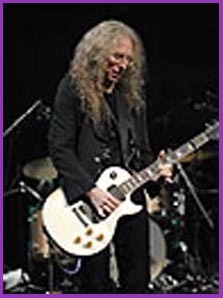 Waddy Wachtel also appeared with Stevie Nicks at the Ahmet Ertegun Tribute Concert in New York on April 17, 2007, paying respect to a man who was the president of Atlantic Records and had assisted many artists over the years. Ahmet died after taking a fall at a concert - doing what he loved the most: promoting and enjoying his artists. At the beginning of 2008 a new Adam Sandler movie “Strange Wilderness” was relased with original music written by Waddy Wachtel. Waddy also wrote the music for another Sandler film “The House Bunny” which was released in August 2008. In July 2008 “Soundstage with Stevie Nicks” was aired on PBS from a concert filmed in October 2007. 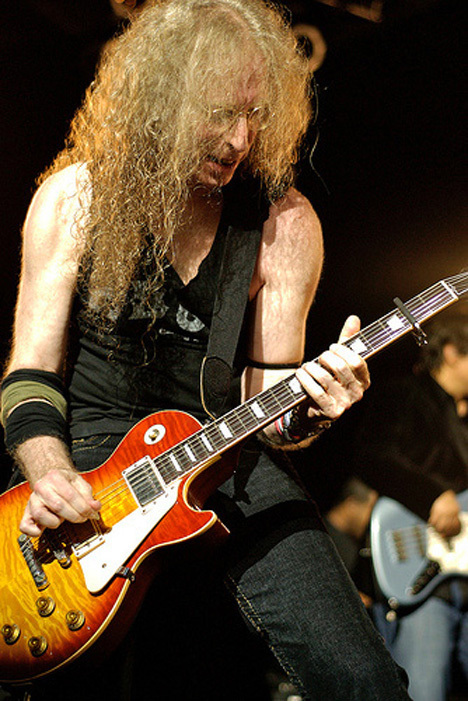 Waddy Wachtel acted as musical director, arranger and guitarist, as well as working on the final sound and video mixing of the show. Waddy also toured with Stevie for the month of June: “The Very Best of Stevie Nicks” Summer Tour. Also released in 2009 was the film “Paul Blart: Mall Cop,” for which Waddy wrote original music, as well as playing most of the instruments, producing, mixing and editing the music for the film. Waddy joined Stevie Nicks to play a couple of songs on The Chris Isaac Hour, which was televised March 5, 2009. 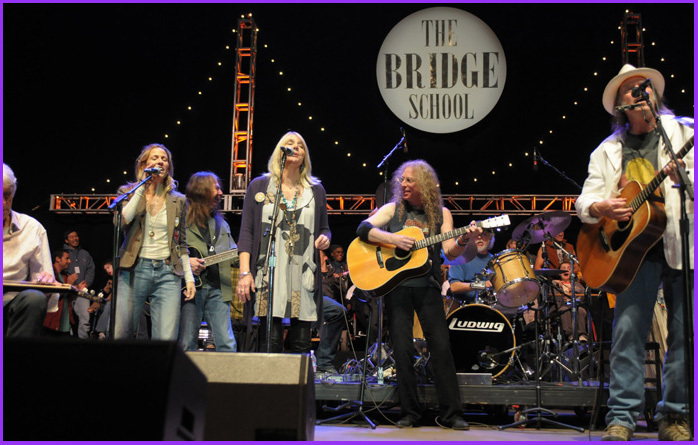 On October 25, 2009 Waddy performed with Adam Sandler at The Bridge School Benefit and joined Neil Young, Sheryl Crow and others for the final encore. His guitar playing was featured on the 2009 albums by John Mayer and Rod Stewart. And despite his busy schedule, he’s made the time to keep the Waddy Wachtel Band gigs at The Joint rocking for everyone. 2010 should be another fantastic year for Waddy Wachtel - the man who never stops providing all of us with his incredible guitar, production, orchestration and writing talents. Waddy will still be appearing with the Waddy Wachtel Band at the Joint in Los Angeles, when his schedule allows. Come on down to hear Waddy Rock It Up!